Approved Document F covers the requirements for ventilation for new dwellings through 4 standardised methodologies. The 2010 document also covers the introduction of G.I.P (Guaranteed Installed Performance) and the classification of Ventilation as a controlled building service. An associated document to ADF, this new guide outlines the requirements for onsite ventilation inspection, testing and commissioning (controlled service introduction) plus the provision of information for the end user on completion. 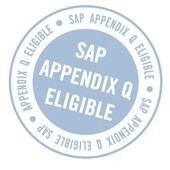 Approved Document L regulates new building emissions through the SAP (Standard Assessment Procedure). Guidance of generic building elements are provided, but all specific material specifications are completed within SAP software. An associated document to ADL, the new document provides guidance for people installing fixed building services in new and existing domestic dwellings to help them comply with Building Regulations. Ventilation is included in Section 8, referencing energy efficiency performance points. Approved Doucment J regulates the safety of combustion appliances and fuel storage systems in domestic dwellings, which includes the provision of adequate ventilation where combustion appliances are installed. Approved Document P regulates electrical design and installation in order to protect persons operating, maintaining or altering the installations from fire or injury, including the installation of new or replacement ventilation systems. The changes to the 2010 Building Regulations bring a completely new focus to the way in which ventilation is specified and installed in new and existing dwellings. Airtight properties with low levels or even zero infiltration mean that ventilation is now high on the agenda. With people spending up to 70% of their life indoors, ensuring what is designed, is installed, and works for the house and the homeowner is not only crucial, but will also need to be approved and signed off. A reward based appendix based on specific product specification where an energy reward for a product can be swapped for the default ventilation setting - having direct impact of DER (dwelling emission rate) calculations. The Building Regulations 2010 brochure to the right summarizes the changes and impacts of the new ventilation regulations according to these three areas.